Health and Beauty from the Rainforest: Malaysian Traditions of Ramuan brings together for the first time in one book the collective wisdom of experts and practitioners of Malaysia's traditional healthcare and beauty systems. The book examines the importance of seeking and maintaining balance - vital for overall wellness, beauty and vigour - and highlights the intertwined nature of medicine and food, cutting through the myth to fact and actuality. It showcases the best of Malaysia's ancient healing systems - indigenous, Malay, Chinese and Indian - including their practice in Malaysian spas. This account of the practice of traditional Maya medicine examines the work of curers in Piste, Mexico, a small town in the Yucatan Peninsula near the ruins of Chichen Itza. The traditions of plant use and ethnomedicine applied by these healers have been transmitted from one generation to the next since the colonial period throughout the state of Yucatan and the adjoining states of Campeche and Quintana Roo. In addition to plants, traditional healers use western medicine and traditional rituals that include magical elements, for curing in Yucatan is at once deeply spiritual and empirically oriented, addressing problems of the body, spirit, and mind. Curers either learn from elders or are recruited through revelatory dreams. The men who learn their skills through dreams communicate with supernatural beings by means of divining stones and crystals. Some of the locals acknowledge their medical skills; some disparage them as rustics or vilify them as witches. The curer may act as a doctor, priest, and psychiatrist. This book traces the entire process of curing. The author collected plants with traditional healers and observed their techniques including prayer and massage as well as plant medicine, western medicine, and ritual practices. Plant medicine, she found, was the common denominator, and her book includes information on the plants she worked with and studied. Chronological historical citations document 500 years of usage of plants, trees, and shrubs native to eastern Canada, northeastern U.S. This book provides information for identifying plants and 343 illustrations. It is a Dover reprint and hence a classic. 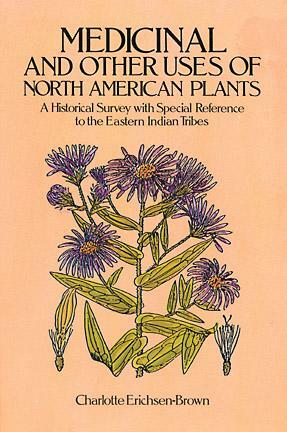 An extraordinary compilation of the plants used by North American native peoples for medicine, food, fiber, dye, and a host of other things. Anthropologist Daniel E. Moerman has devoted 25 years to the task of gathering together the accumulated ethnobotanical knowledge on more than 4000 plants. More than 44,000 uses for these plants by various tribes are documented here. This is undoubtedly the most massive ethnobotanical survey ever undertaken, preserving an enormous store of information for the future. 927 pages. Now for the first time, a book about traditional Native American healing techniques authored by a Native American practitioner. Drawing strongly from Muskogee tradition, herbal teacher Tis Mal Crow examines common wild plants and in a clear and authoritative style explains how to identify, honor, select, and prepare them for use. The work of Rosita Arvigo and Michael Balick to bring the knowledge of the Mayan healers to the Western reader deserves due credit. This revised and enlarged second edition includes much additional information about the major herbs in the Mayan pharmacopeia. Their work proves that the rainforest has more value to mankind alive than cut down! This complete guide to centuries-old Native American herbs and other remedies shows how the Native American approach to healing emphasizes the balance of body, mind, and spirit. Dr. Cichoke explains the philosophy behind Indian healing practices. He also presents information on other therapies such as the sweat lodges, used in conjunction with herbs. Each herb is examined in an accessible A-to-Z format, and formulas and recipes for treating specific ailments are provided. Includes bibliography and index. Rainforests contain an amazing abundance of plant life. What's most exciting is that scientists and researchers have only just begun to uncover the medicinal qualities of these plants, which offer new approaches to health and healing. 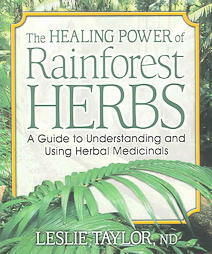 "The Healing Power of Rainforest Herbs is a valuable guide to these herbs and their uses. Detailing more than fifty rainforest botanicals, this book provides preparation instructions, presents the history of the herbs? 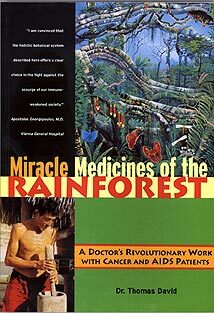 uses by indigenous peoples, and describes current usage by natural health practitioners throughout the world. Helpful tables provide a quick guide for choosing the most appropriate botanicals for specific ailments. Here is a unique book that offers a blend of ancient and modern knowledge in an accessible reference format.